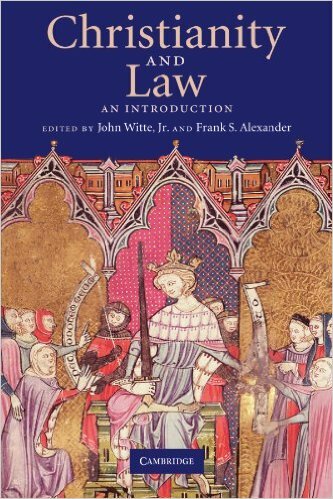 Book: Christianity and Law - John Witte, Jr.
What impact has Christianity had on the law from its beginnings to the present day? This introduction explores the main legal teachings of Western Christianity, set out in the texts and traditions of scripture and theology, philosophy and jurisprudence. It takes up the weightier matters of the law that Christianity has profoundly shaped - justice and mercy, rule and equity, discipline and love - as well as more technical topics of canon law, natural law, and state law. Some of these legal creations were wholly original to Christianity. Others were converted from Jewish and classical traditions. Still others were reformed by Renaissance humanists and Enlightenment philosophers. But whether original or reformed, these Christian teachings on law, politics and society have made and can continue to make fundamental contributions to modern law in the West and beyond. Christianity and the large scale corporation –​ David A. Skeel, Jr.